Our Free Time coffee cups are our best-selling dishware. 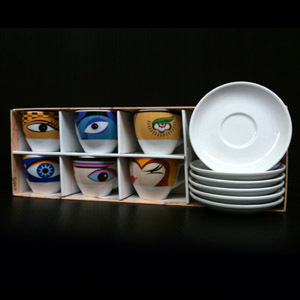 Designed with an “eye” in six artistic forms on the cups, these are sure to be a conversation piece. White saucers. Sold in a set of six.